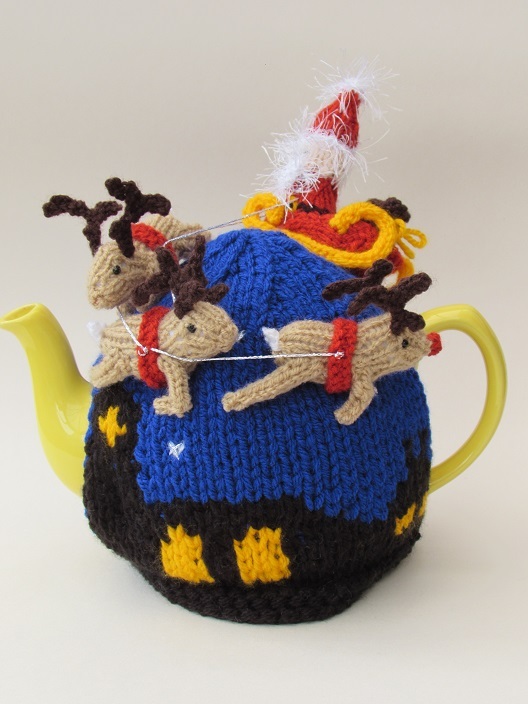 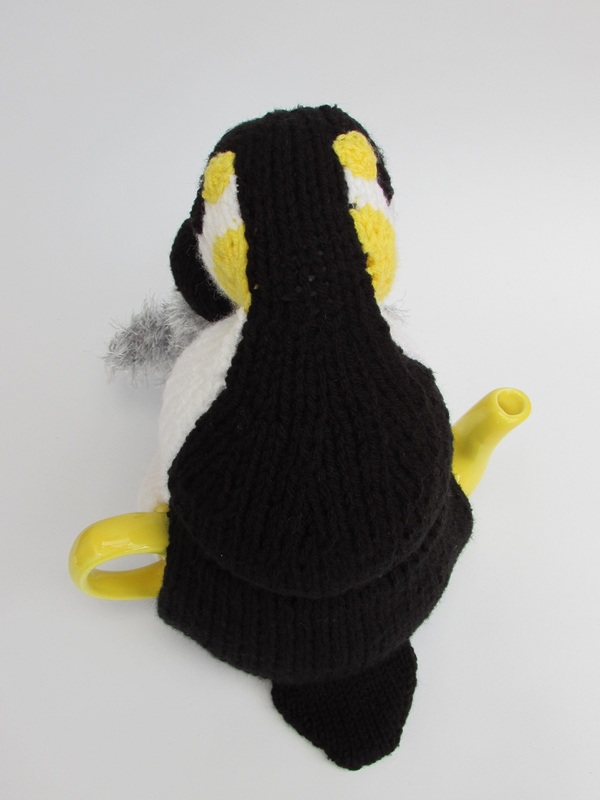 The Emperor Penguin tea cosy was a commission work for the Simply Knitting magazine which first featured in their mini pattern book - Simply Knitting Christmas Cute Knits which was free with Issue 153 which went on sale on 5 November 2016. 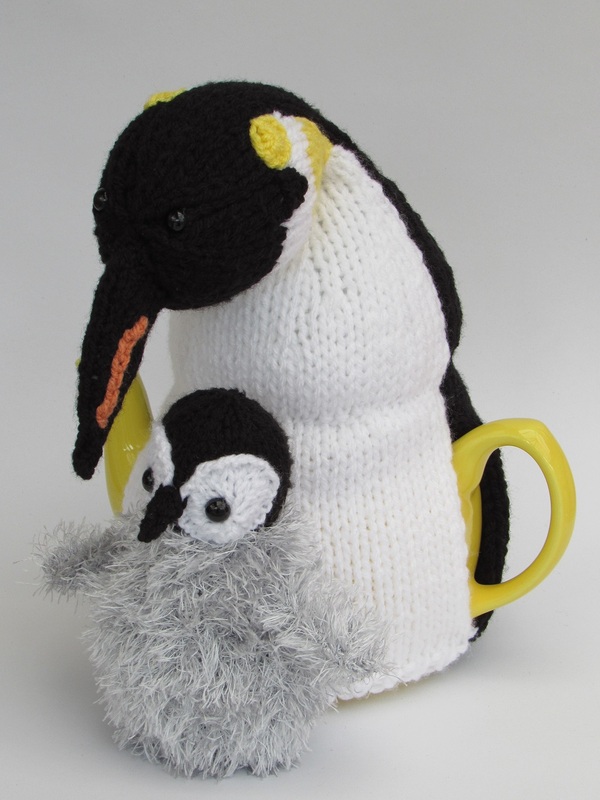 I love the wintry nature programs, like march of the penguins. 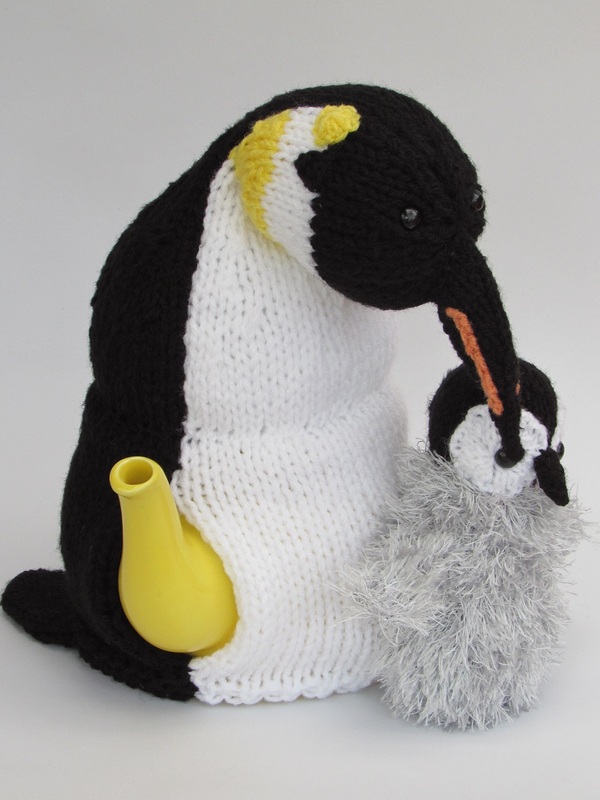 It looks so cold and it makes me feel so sorry for the poor old penguins battling with the cold. 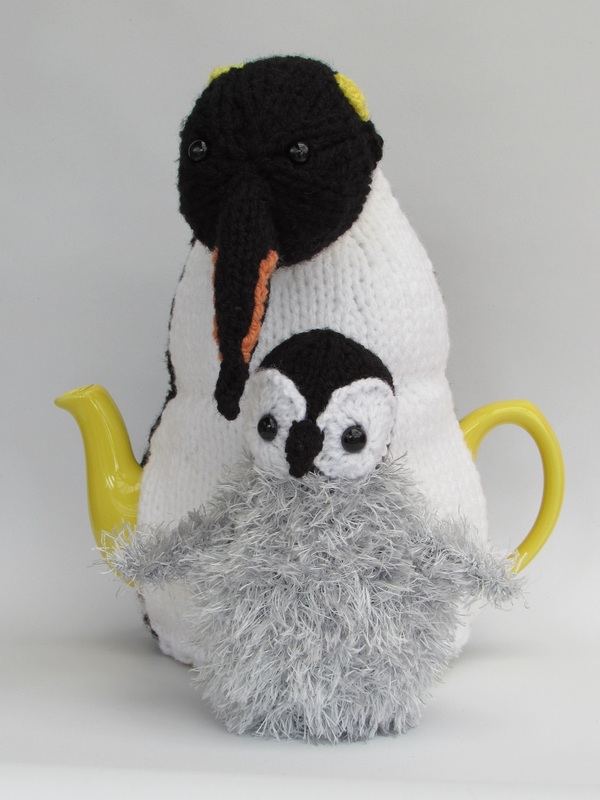 But then you see their cute fluffy chicks that emerge, which are fat, fluffy grey balls and you see why its all worth while. 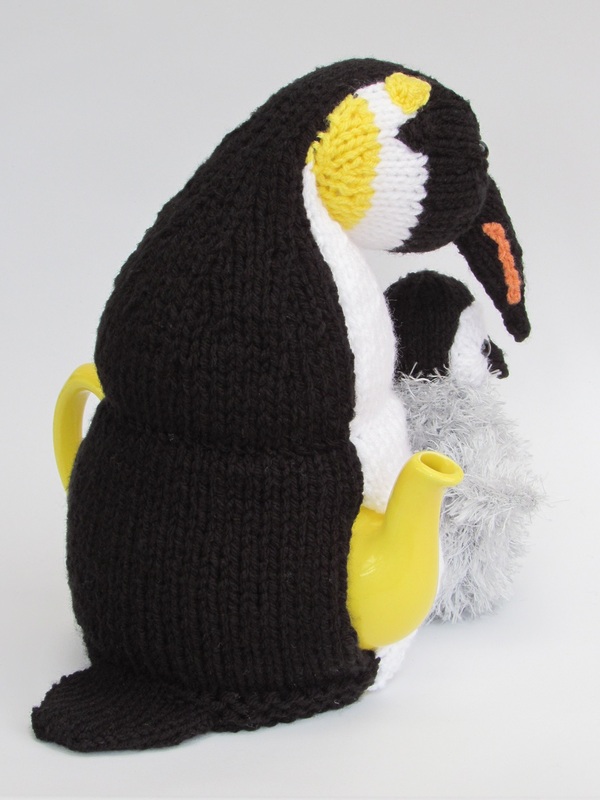 This is what I took inspiration from when designing the penguin tea cosy. 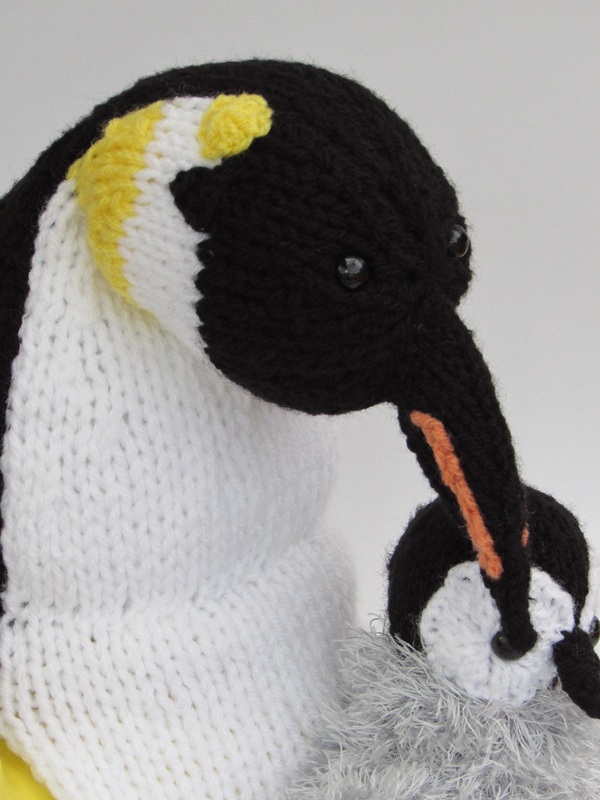 The adult penguins head bends right over as if to reassure the chick. 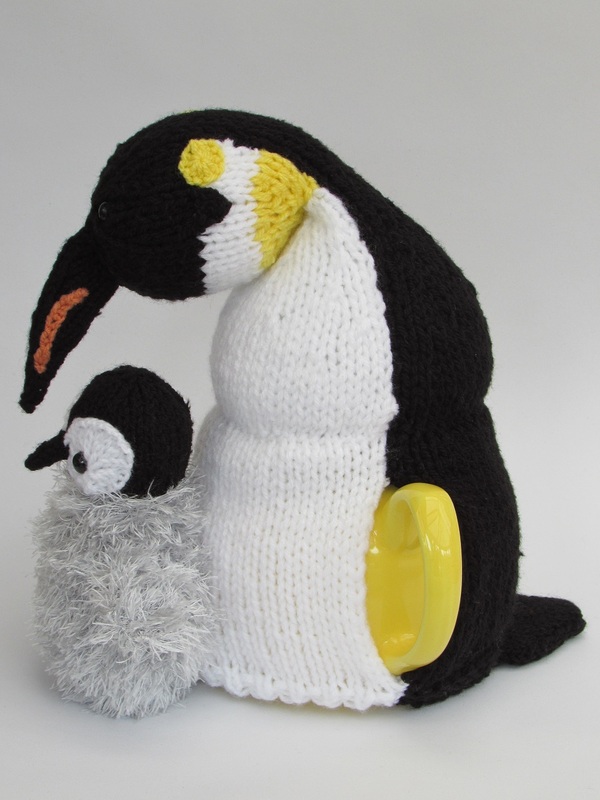 The chick itself is made from fluffy Stylecraft Eskimo yarn, and safety toy eyes are used for their eyes. 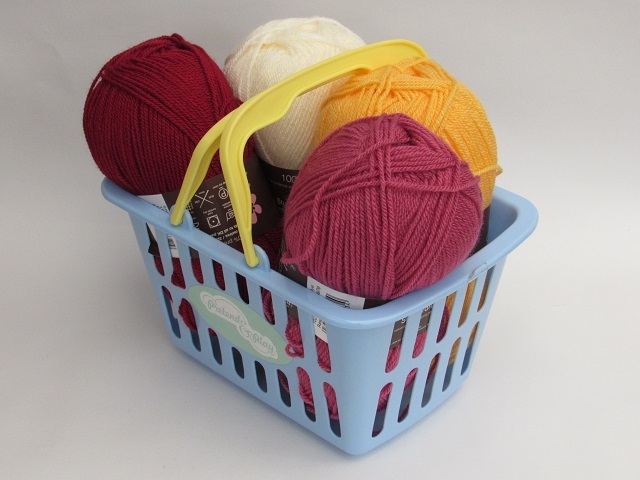 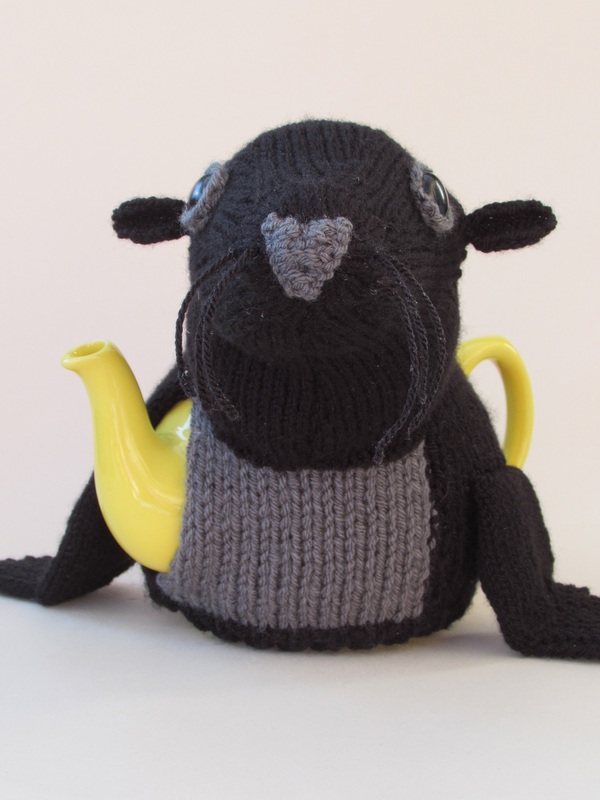 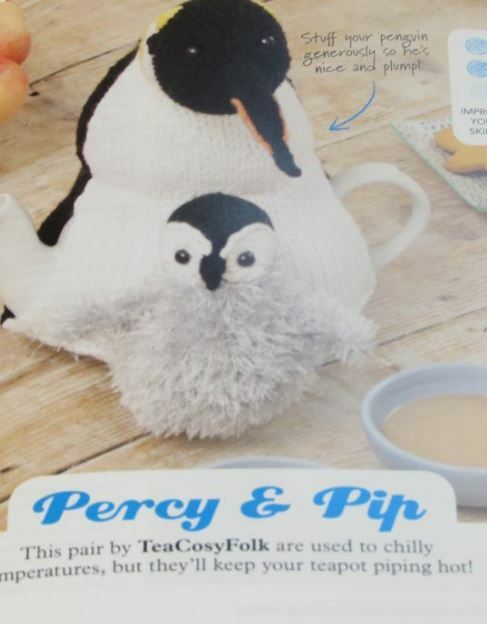 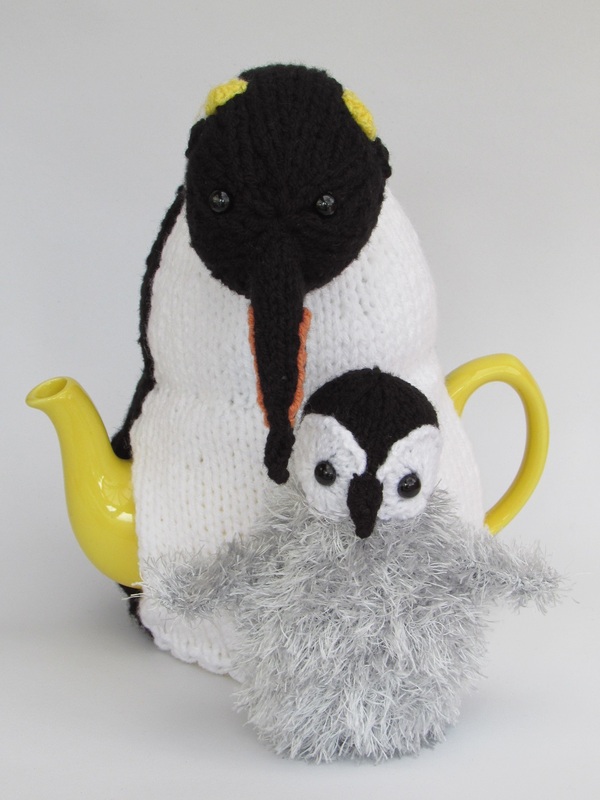 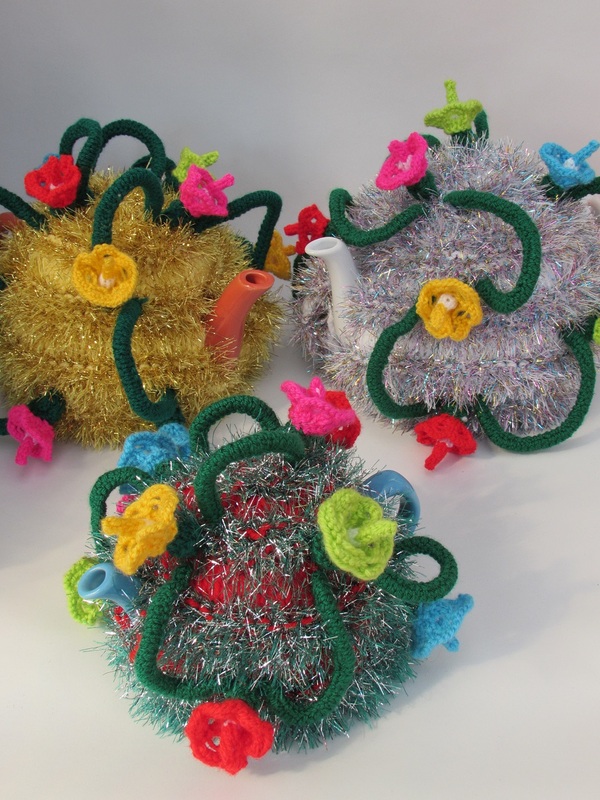 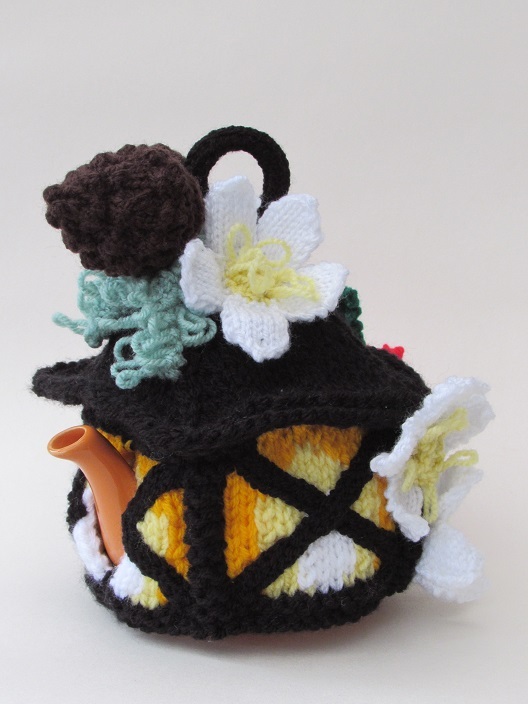 The Penguin tea cosy has been named as Percy and Pip in the Simply Knitting booklet. 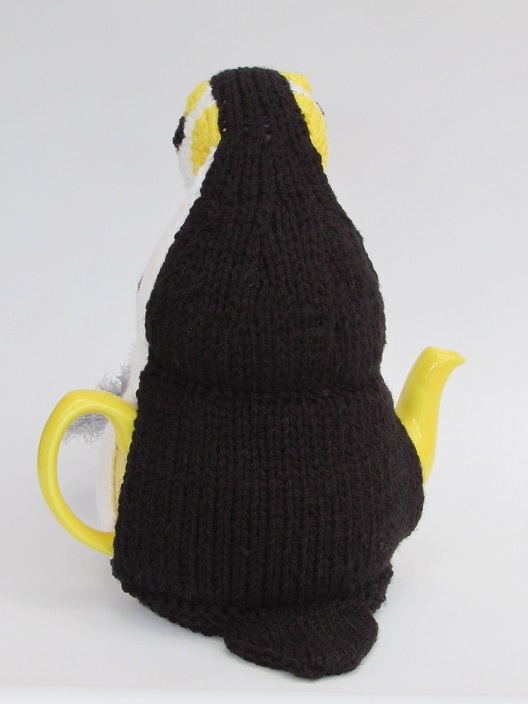 I think this tea cosy makes for a lovely Christmas tea cosy, and he's perfect fro penguin lovers. 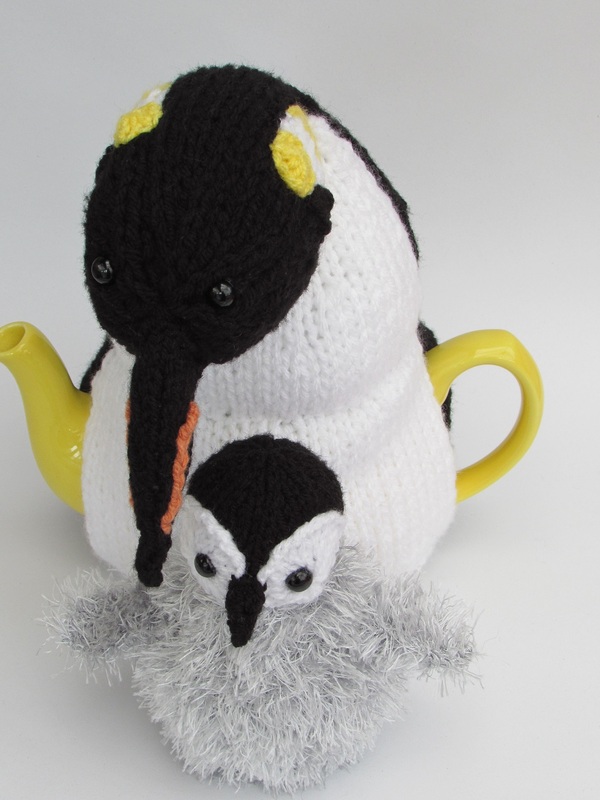 Fancy a Penguin with your cuppa?